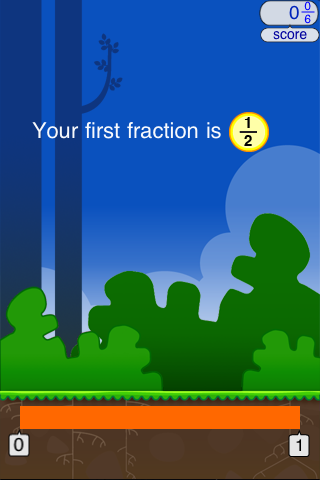 Play the award-winning learning game that puts the action in fraction! Developed at the Stanford School of Education, Motion Math HD follows a star that has fallen from space, and must bound back up, up, up to its home in the stars. Moving fractions to their correct place on the number line is the only way to return. By playing Motion Math, learners improve their ability to perceive and estimate fractions in multiple forms. Loved by children as young as 7 and as old at 17 (and adults too! ), Motion Math gives learners a physical experience of the number line and an intuitive feeling for fractions. Fractions are a notoriously difficult area and if a learner never gains a gut sense for them, it can impede progress in more advanced forms of math. One reason fractions are tough is that they can be written in so many different ways! Motion Math helps learners perceive and estimate many representations — numerator over denominator (1/2), percents (50%), decimals (.5), and even pie charts. Motion Math was inspired by embodied cognition, research suggesting that connecting one’s body to abstract concepts can deepen understanding. By estimating each problem with its distance on the number line, learners can develop a fast, accurate perception of fractions. 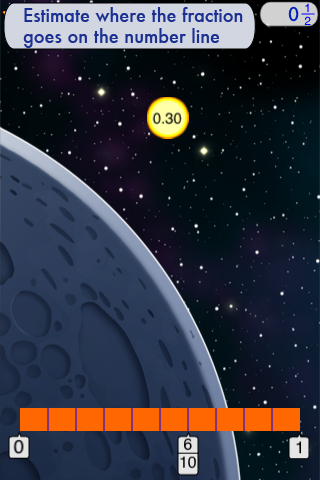 The Motion Math game follows a star trying to return to its home in a far-away galaxy. Moving up through different levels motivates a player to keep playing and keep learning, while bonus levels practice an important variation on the number line theme – is one fraction more or less than another? Progress stars, sound and star effects, and exclamations (“Yes!” “Perfect!”) reward a player for solving problems. If a player is having trouble, increasingly helpful hints (what educators call “scaffolding”) guide him or her to the correct place on the number line. 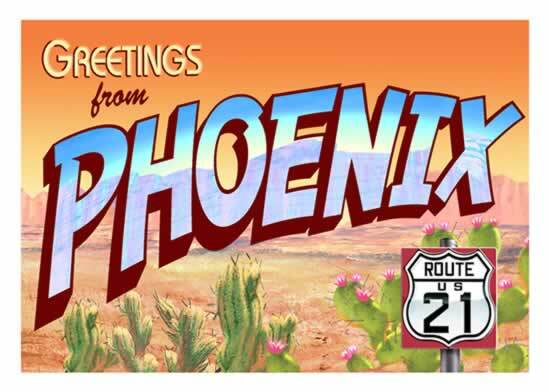 – First, a directional arrow is shown. – Next, tick marks show the fraction’s denominator. – Third, similar fractions are shown for comparison. 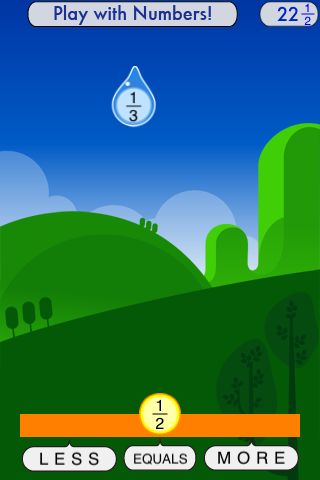 – Lastly, in early levels, a vertical arrow shows exactly where to go. 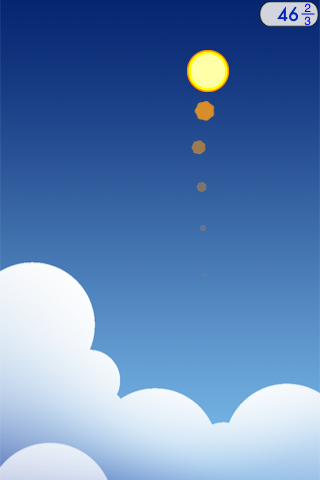 – Intro level shows player how to tilt to control the star. 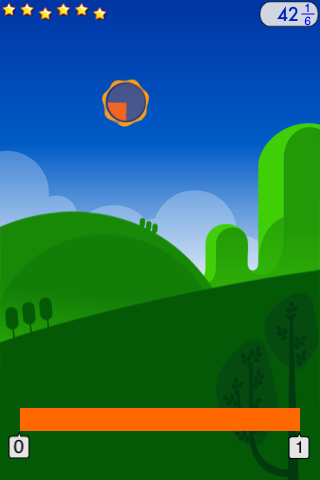 – Later levels practice improper fractions and negative decimals. – Beginner, medium, and expert modes for different learners. CAN YOU MAKE IT PAST SATURN? Try your hand – and your brain – at Motion Math! 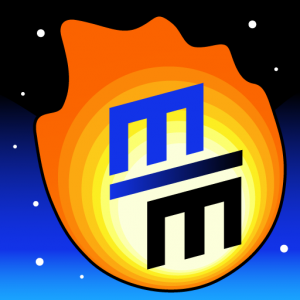 Motion Math is a member of Moms with Apps, a collaborative group of family-friendly developers seeking to promote quality apps for kids and families. Standards: Interaction. Tools: Flash Cards, Games. Disciplines: Math. Grades: 3-5. Verbs: Demonstrate, Drill, Practice, Understand.